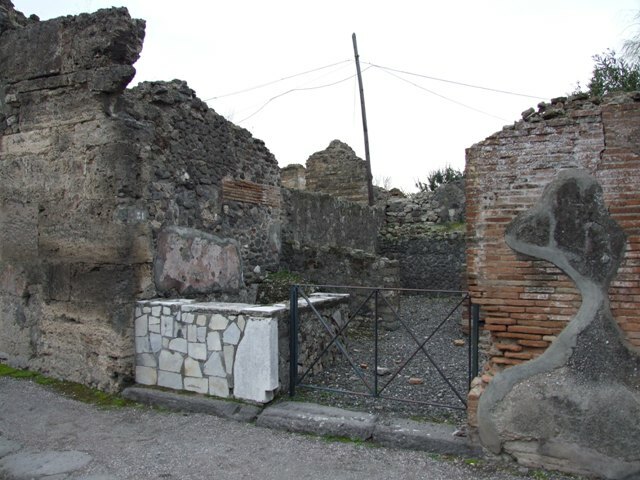 VI.17.31 Pompeii. Dwelling with shop. Excavated from 1760. 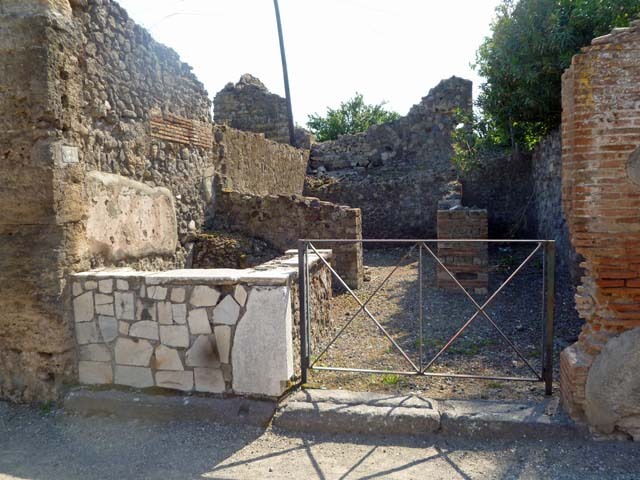 VI.17.31 Pompeii. May 2011. Looking west to entrance doorway. Photo courtesy of Michael Binns. (translation – "A bar/shop adjacent to the designated building, which was part of the house that followed. It had a sales podium/bench, a cistern-mouth, the stairs up to the mezzanine, and at the rear two rooms for the customers. " 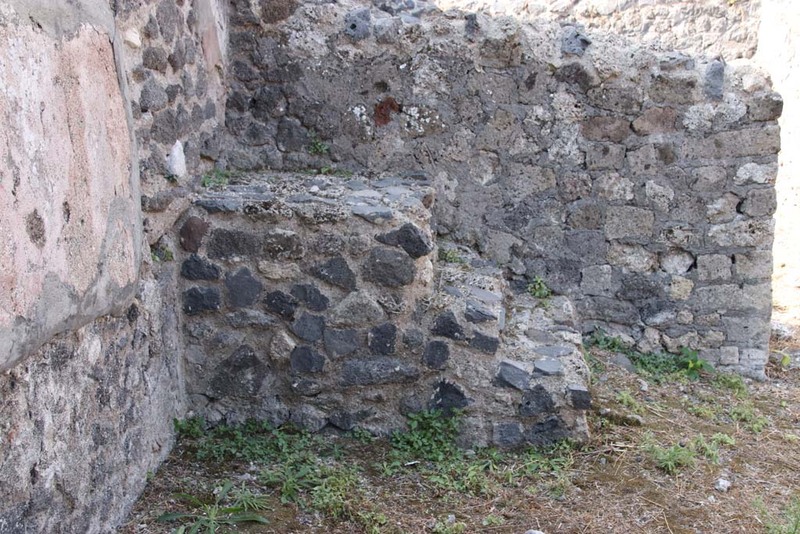 VI.17.31 Pompeii. December 2007. Entrance doorway, looking west. 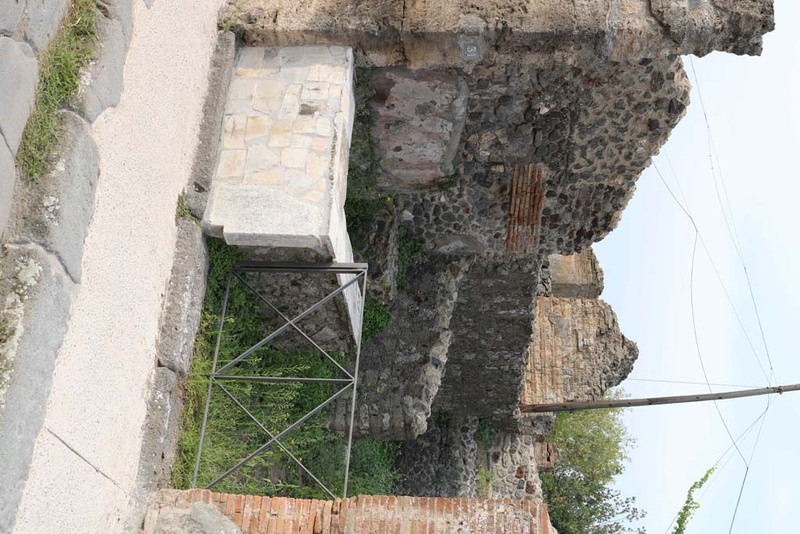 VI.17.31 Pompeii. September 2004. Entrance doorway. 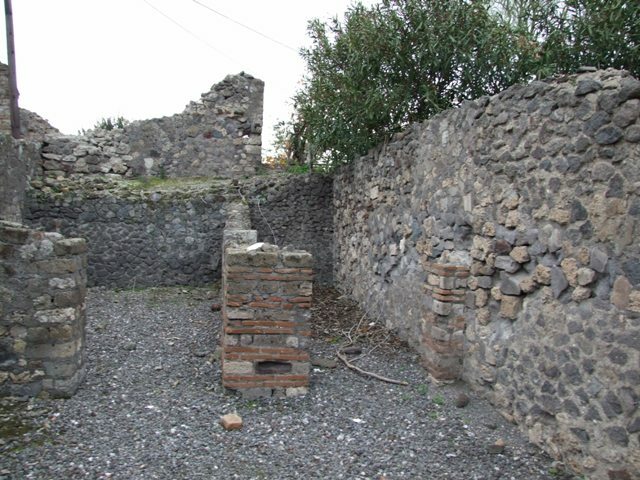 VI.17.31 Pompeii. December 2007. South wall of shop with remains of stone staircase in south-west corner, on right. 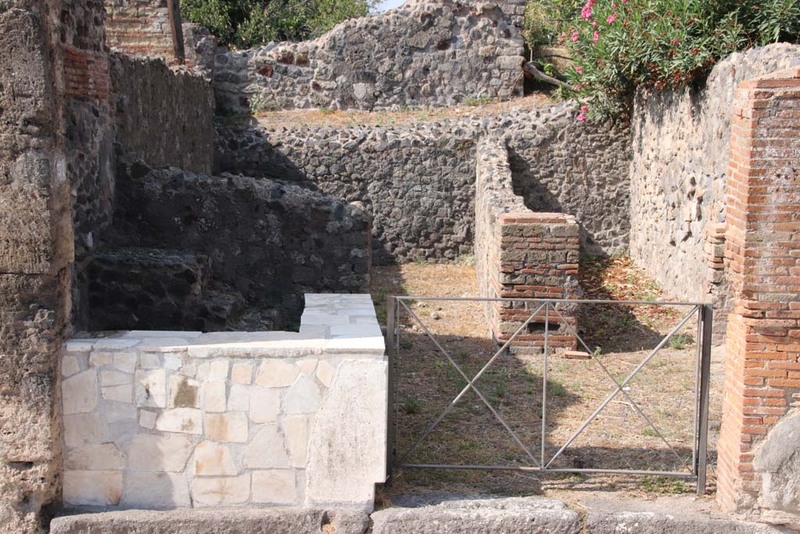 VI.17.31 Pompeii. December 2007. 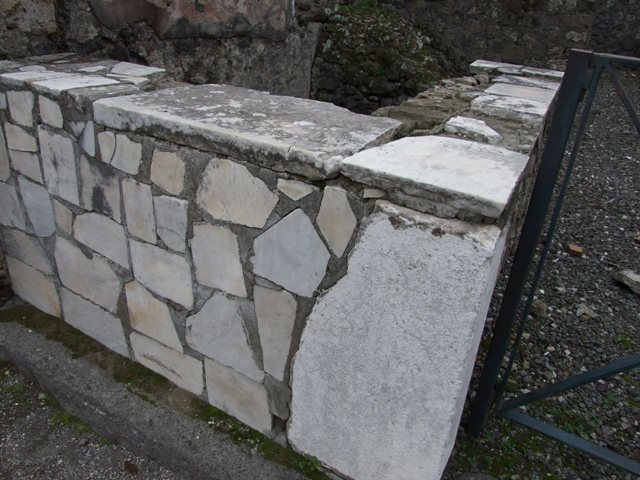 Sales podium/bench faced with marble slabs. VI.17.31 Pompeii. December 2007. Rear rooms on west side. 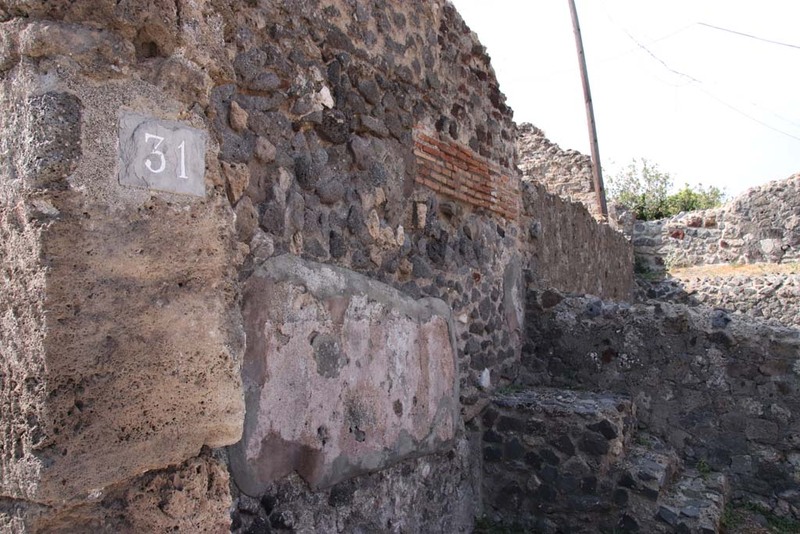 VI.17.31 Pompeii. December 2007. Room in south-west corner. 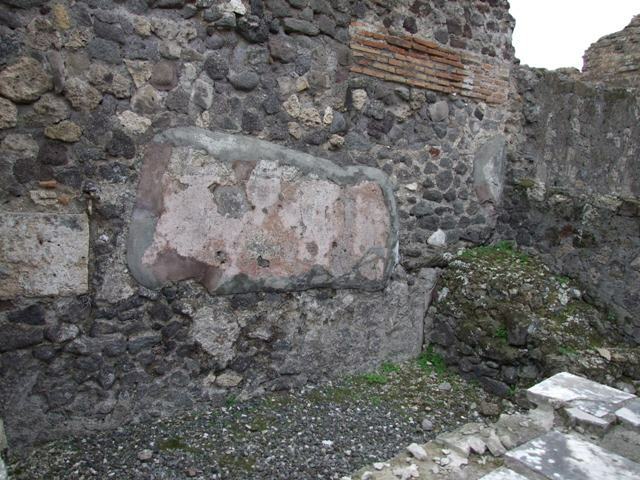 VI.17.31 Pompeii. December 2007. Cistern mouth near north wall of shop. 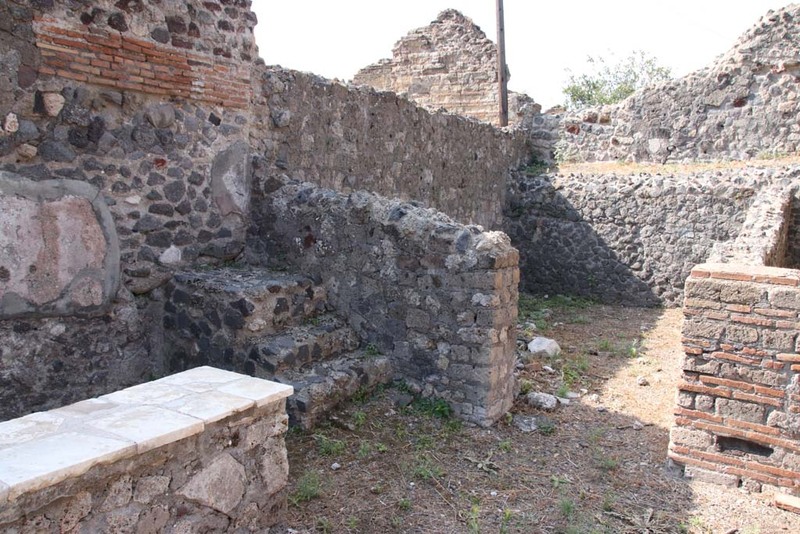 VI.17.31 Pompeii. December 2007. North wall of shop. VI.17.31 Pompeii. December 2007. Threshold or sill, with grooves for closing the shutters. 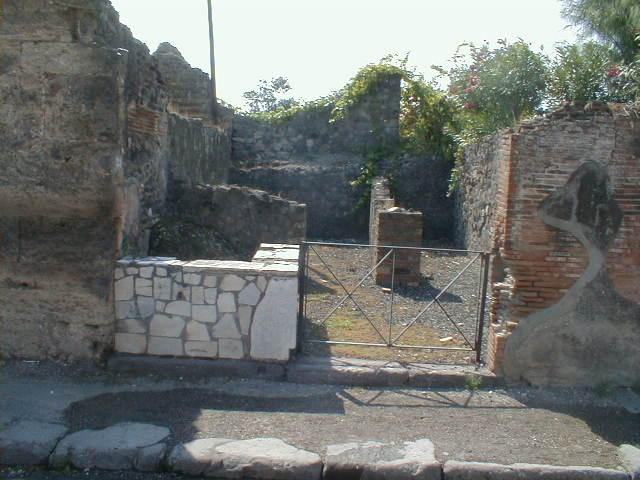 VI.17.31 Pompeii. Found on 12 July 1760. Painting of the three graces. According to Mattusch, this may be from VI.17.west: 31?